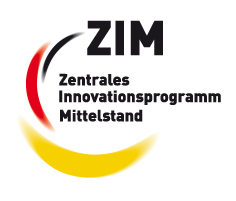 Seit Dezember 2012 fördert das Bundesministerium für Wirtschaft im Rahmen seines Zentralen Innovationsprogramms Mittelstand das Projekt FlexNeuroTrans (Flexible and efficient machine translation for medium-sized businesses using neural nets) von Lingenio. Weiterlesen. Hybrid High Quality Translation System (HyghTra) is a joint project of the University of Leeds and Lingenio GmbH which investigates possibilities of rapid construction of hybrid high quality machine translation systems by combining rule based and statistical methods applied to a number of European languages. 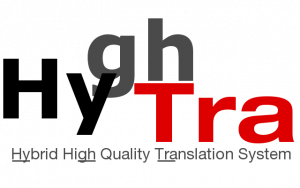 A main topic of the project is to design declarative core grammars and train them using monolingual and bilingual corpora and translation information. Keep on reading. Visit the Hyghtra official webpage. Language based Entity Identification for Location Aware Services (LEILAS) proposes to develop applied research on geographical named entities identification and normalization. The project will deliver a technology by which references to geographical entities (towns, addresses…) in web documents will be automatically recognized and assigned spatial coordinates. The objective of the LEILAS project is the multi-language geo-referenciation for web pages or documents, adding a geographical dimension to text content. Keep on reading. Im Rahmen des BMBF-geförderten Projekts ReflectDict (Rapid Generation of flexible electronic Dictionaries) werden Methoden entwickelt, um den Aufbau von Wörterbüchern in ökonomischer und qualitativer Hinsicht zu optimieren. Weiterlesen. 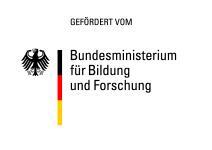 Der Sonderforschungsbereich (SFB) 732 beschäftigt sich mit Mehrdeutigkeit in der Sprache, mit dem Vorliegen und der Repräsentation unterspezifizierter Information und den kontextuellen Bedingungen schrittweiser Spezifikation solcher Information. Zusammenarbeit mit dem SFB 732 findet im Besonderen statt im Teilprojekt B3: Disambiguierung von Nominalisierungen bei der Extraktion linguistischer Daten aus Corpustext. für das Lingenio einen Forschungsprototypen für die unterspezifizierte Analyse von Korpora zur Verfügung stellt. Weiterlesen.